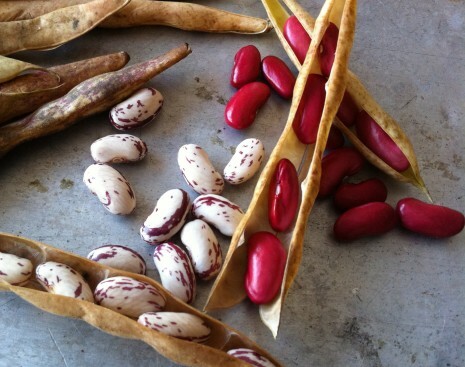 OCTOBER’S FRESH SHELL BEANS | Jane Lear. Writing on Food and Travel. Like almost any expat southerner, I am besotted with the shell beans of summer. The native American legumes, often referred to as peas, have pods that must be removed before the moist, tender beans (ie., seeds) can be cooked. Black-eyed peas, pink-eyes, lady peas, cream peas, purple-hulls, and the small, pale butter beans called sieva, or sivvy, beans are among those that have long been prized for their delicacy and nuances of flavor. Up North, the closest most people get to fresh black-eyed peas is the frozen-food aisle. A few farmers at the Greenmarket do offer butter beans in season, as well fresh fava beans (which belong to a different, Old World genus of the legume family), and, occasionally, flageolets. The brilliant thing about these beans when fresh is they take only about 20 to 30 minutes to cook and do not require an overnight soak. They have a rich, round flavor that has a bit more heft than summer shell beans, and make a wonderful component to meals in October—nature’s great swing season. It worries me, though, that people aren’t standing in line to buy them. This is true, even for summer’s butter beans and favas. I mean, down South, those stands would be mobbed. Maybe the market for them might improve if they had an on-site sheller—someone who tosses a customer’s pounds of beans in the pod into a commercial pea sheller and gets the job done lickety-split. Hey—there’s a job opportunity for me, now that Martha Stewart Living is restructuring and cut me loose, effective yesterday. I’ll think about it over lunch. These beans are delicious alongside a steak or over pasta or thick slices of buttered toast, but today I’m eating them in a deep bowl with soft-boiled eggs cut in—a fast-track homage of sorts to Bill Neal’s mixed beans in egg sauce. 2. Take the beans off the heat when ready. Fish out the garlic and drain off any excess water. Meanwhile, soft-boil the eggs. Carefully peel them, put them in a shallow dish, and coarsely chop. Fold some butter and the tomatoes into the hot beans. Immediately stir the eggs into the beans to coat and season with salt and pepper. Add the sage, and, as Bill Neal would say, rush to the table. Wow, what a loss for Martha Stewart. Have a good weekend.